Western Springs, IL: a great place for holiday shopping and supporting local businesses! With Thanksgiving in the rear view mirror, it’s time to turn to the hustle and bustle of the next round of holidays. Western Springs is a great place to do it! And in Western Springs, you have plenty to choose from. In a town where small businesses bind together and support one another, the feeling is good, too. Western Springs is home to three great shopping districts–the Downtown Business District, the Garden Market, and 55th & Wolf Shopping Plaza. Let’s take a look at the Downtown Business District and see if we can cross everyone off you gift list in one afternoon! Start by fueling up with fresh, healthy, keep-you-going snacks at the Western Springs Fruit Store, at 925 Burlington. Hit the salad bar, grab a smoothie, and some on-the-go chips or nuts for later. Then order a fresh fruit basket for your office staff or a fruit platter for your holiday party. And don’t worry about trying to wrestle it home–they deliver! Just a couple of doors down, you’ll find The Uptown Shop at 921 Burlington. The Uptown Shop carries gorgeous clothing for women and so much more. The women on your gift list will also love the candles and perfumes and especially the accessories. The Uptown Shop features Redbailfrog beads and Trollbeads, two lines of unique and beautiful beads for creating a necklace or bracelet that is uniquely her. Keep skipping down the row of shops to the Design Studio at 917 Burlington for all your home decor needs. In business for more than 30 years, Carol at Design Studio offers gorgeous art, furniture, and lighting to make your home a beautiful place to be. They also offer design services that include not only the interior of your home, but your garden as well. How about a gift for that friend who just moved into a new house? Better yet, buy them a session with Carol to design the interior. Next, for the foodies in your circle, pop into Casey’ Market at 915 Burlington. While it may look like a small grocery store, once you are inside you will find gourmet food, a wonderful deli, and an amazing butcher case. Perfect choices for your holiday dinners and a friendly staff to match! And since we can never get enough clothing, accessories and home decor ideas, be sure to stop by the Clever Girl Boutique at 907 Burlington. Note cards, candles, diffusers, bags, children’s’ apparel, scarves, cookbooks, kitchen and pantry decor, and the very special Blue and White collection of Blue Willow-inspired dishes and throws. Now for the ultimate in supporting local business–Village True Value Hardware at 835 Burlington. Is not only a hardware store worth driving in from out of town, it also supports the local businesses in its own community. Through a project called Windowcapes, True Value owner Linda Johnson gives local businesses a chance to highlight themselves by allowing them to create a window display using products from the store. Ready to take a break and refuel? Your next stop is Kirschbaum’s Bakery at 825 Burlington. A long-standing Western Springs tradition, Lester and Cele Kirschbaum opened the bakery in 1953, and it is still run by their children. And now their grandchildren are learning and contributing to the business. Also voted “The Sweetest Little Bakery in Illinois” by Dawn Food Products, you won’t want to miss the not only delicious, but also beautiful cakes, cookies, and pastries. Have some for yourself, and order ahead for friends, family, and your get togethers! Now that you are refueled, you just have three more stops downtown, and you will be able to cross everyone off your list! Although most of the shops in the Western Springs Downtown District lie along Burlington Avenue, you only have to step off a block or two to find some other “can’t miss” shops. Two blocks up Burlington, take a left on Johnson Avenue and look for Pet Necessities at 4354 Johnson on your right. You wouldn’t want to the four-legged friends, right? Get your food, leashes, toys, and treats from a super knowledgeable staff. Now take a right out of Pet Necessities and turn right on Hillgrove Avenue. You are looking for Initially Ewe at 1058 Hillgrove, a children’s boutique that even offers in-house monogramming of your own items. 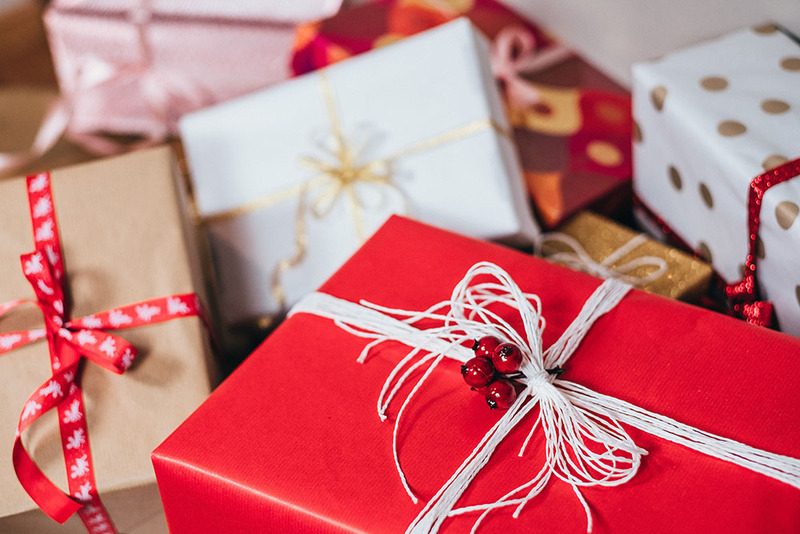 Kim and Claudine will help you find a lovely gift by helping you put the thought into it to make it really special to the child and the parents, too. Finally, your last stop for more ideas for the little ones. Go left from Initially Ewe on Hillsgrove and cross the street. Turn right on Lawn Avenue and cross back over Burlington Avenue. On your right, at 4427 Lawn Avenue, check out Beautiful Beginnings, described as a “posh boutique for baby clothes, blankets & gifts, plus crib bedding, nursery decor & lighting.” Don’t miss their donut shop right next door–featuring baby donuts and Intelligentsia coffee–you’ve earned it! Downtown Western Springs, IL: local businesses supported and holiday shopping done! 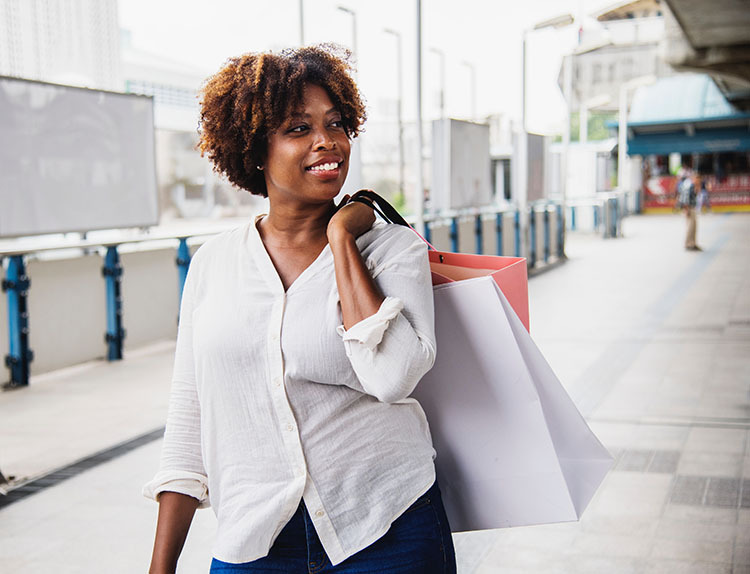 Now that all your holiday shopping is done and you’re feeling like a good person for supporting local businesses, what will you do with all the time you’ve just saved running from one part of town to another? Spruce up your home, I hope! Bake those cookies and pies. And of course, savor the soft snow falling outside and time with family and friends.